Denon to add Alexa voice control to its HEOS range | What Hi-Fi? Denon's multi-room products will soon be equipped with Amazon's smart assistant Alexa, letting you play music, answer questions and get news from your devices. Everyone wants to be Iron Man, Tony Stark, shouting commands at their personal AI. Now if you own a Denon HEOS product you're one step closer to that dream, as Amazon's Alexa is being integrated into its multi-room products. The company expects the first integrated Denon HEOS products to hit the market in early 2017. While Alexa can be used to control playback functions or play specific playlists through streaming services such as Spotify, Tidal, or Google Play Music, it can also be used to supply pick-up lines, play Jeopardy and order pizza. 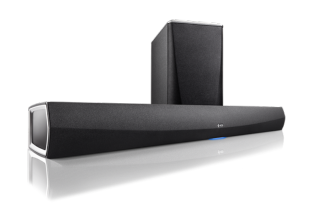 Denon's multi-room music system consists of four speakers - the HEOS 1, 3, 5 and 7 - the HEOS Amp, HEOS Link pre-amp, the HEOS Extend wi-fi extender and the HomeCinema soundbar with wireless sub.